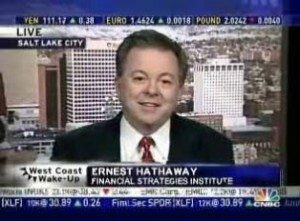 A founding partner of FSI, Mr. Hathaway brings over 30 years of experience and an extensive background as a financial educator. Ernest has excelled at developing a unique educational focus for current and prospective clients enabling them to understand and address their financial needs, objectives and goals. His core belief is that the better informed a client is about the strategies necessary to realize financial comfort, the more achievable the client’s goals become. He has authored a book on financial planning titled, The 7 Things You Need to Know Before You Retire. 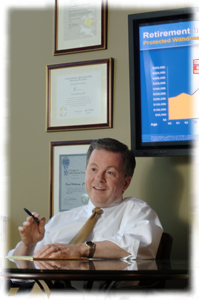 He has conducted hundreds of seminars and classes on financial topics over the last 30 years for corporations, professional associations, and the general public. Ernest has taught financial classes in a formal classroom setting at both the University of Utah and Weber State Continuing Education programs. 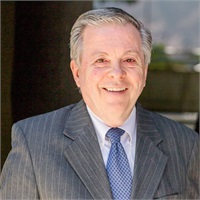 He also advises on insurance matters and draws from his management experience in prior firms, including partner in Growth Management Systems, President of Harvard Financial Services Corp., and President of LDI Financial Services. 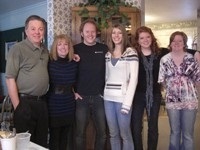 Ernest attended Seattle Pacific University majoring in Economics and Business. He also successfully completed the demanding requirements to become a Certified Financial Planner™ professional through the Certified Financial Planner Board of Standards, Inc.
Ernest has been quoted in many national publications including The Wall Street Journal, Dow Jones Newswires, Business Week, Yahoo Finance, Investment News, Kiplinger’s, SmartMoney, The Wall Street Journal Magazine, Financial Advisor Magazine, and the Salt Lake Tribune. He has been a featured guest on the nationally syndicated talk show, Money Matters, and has appeared numerous times as a guest on CNBC television. Registered Representative, Securities America, Inc.
Ernest was raised on a farm north of Seattle, Washington that produced and sold goats’ milk. Working alongside his parents and brother and sister, he learned first-hand the value of hard work and the satisfaction of a job well done. He also learned that he didn’t want to be a farmer when he grew up! He was a straight- A student in high school and college and got his first taste of the business world as a wholesaler where he first realized that his unique ability was helping other people understand complex issues. His love of working with people, along with his academic aptitude, combined to give him the passion to become what he is today – an insightful and caring financial advisor. In his spare time, Ernest enjoys reading books, researching the stock market, and gardening. He is also heavily involved in church leadership. Clients and friends who have known Ernest for years are often surprised to learn that he also has his pilot’s license. When asked where he most loves to go to get away for a few days, Ernest always replies, “In the mountains.” He and Kim often go to their favorite getaway spots in the mountains in and around Utah just to relax and escape the hustle and bustle of the city. “We’ve been surprised on a number of occasions to bump into some of our clients at our mountain retreats,” Ernest said. The first thing you notice about Ernest is his listening attitude. He really pays attention to the details of your circumstances and is committed to finding solutions for your individual situations.His analytical mind combines with his passion for solving financial problems to create truly innovative financial roadmaps for his clients. Ernest loves his career as a financial advisor. He cares deeply about his clients and is totally committed to helping them reach their financial goals in retirement. In fact, he says he never wants to really retire because he enjoys working with his clients and sharing the thrill of their financial achievements.